Celebrity, Inspiration as The Future Awards launches Season 6! The highly anticipates launch of the sixth season of Nigeria’s bigge st youth event, The Future Awards, held on the eve of Nigeria’s 50thanniversary, Thursday, Sept 30 – at Terra Kulture in Lagos. 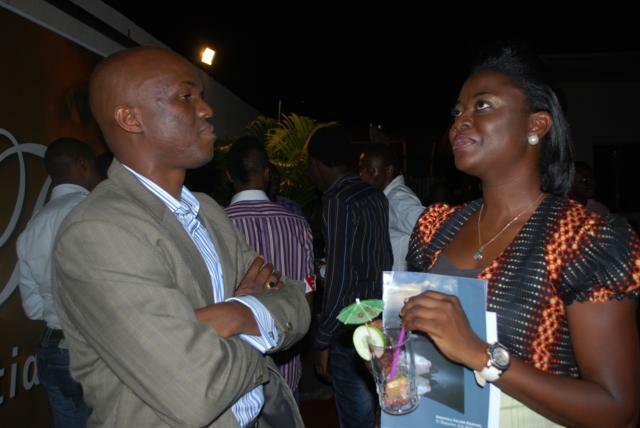 The event was hosted by Tinsel’s Gideon Okeke and Omalicha of Rhythm FM. The event, which as usual attracted the crème of young professionals, entrepreneurs, artists and others as well as national media, was different this year. Themed #TheAuthenticCelebration, it was the most prominent youth celebration of Nigeria at 50, it honoured 50 of the past winners of the awards over the past five years who have made sustained impact and who are relevant as role models to young people. “We tagged them the Face of the Future,” said Shade Ladipo, a member of the awards’ Central Working Committee. “Because we believe that they are icons for the next generation of Nigerian leaders, who will take our country back. And we did this to ensure that young people claim Nigeria’s 5oth anniversary from the old guard of leaders.” The 50 selected winners will also be featured in the special Commemorative Independence Edition of Y! magazine, which hits the streets on Monday, October 11 2010. Ladipo also made a presentation of the awards’ activities over the past years, which includes courtesy visits to political and economic leaders, post-awards school seminars, helping to found Nigeria’s most prominent political advocacy campaign for young Nigerians,EnoughisEnough Nigeria, partnering and helping to launch several high-visibility projects targeted at developing young people. 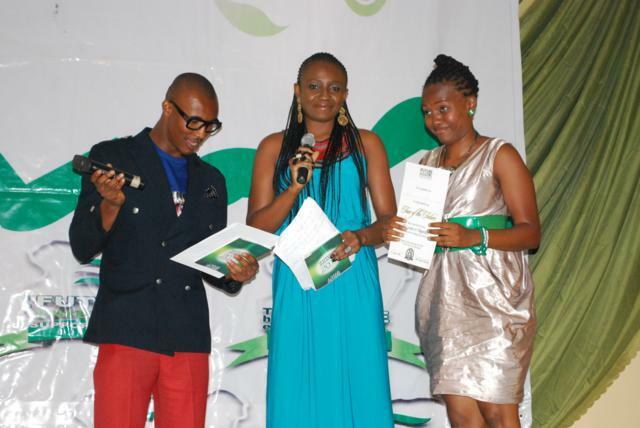 Performers included Waje, Omobaba, Christine Ben-Ameh, and new artiste Sagay unveiled an #IamNigeria theme song. Also at the event, this year’s media campaign was also launched. Every year, The Future Awards season is driven by a media campaign. 2006 was ‘it’s about time’, and 2009 was ‘I am the future’. This year’s campaign is tagged #IamNigeria – and promos unveiled at the venue featured 2face Idibia (Musician of the Year 2006), Tosin Otitoju (Young Person of the Year 2006) and Stephanie Okereke (Young Person of the Year Candidate 2010). Nominations were also declared open for the 2011 awards. The categories for this year range from On Air Personality of the Year (TV) to Best Use of Sceince. A full list of all 20 categories is on the website www.thefuturenigeria.com. Judges for this year’s event were also revealed including Biola Alabi (MD, Mnet Africa), Kadaria Ahmed (Editor, NEXT), Leke Alder (Principal, Alder Consulting), Pastor Ituah Ighodalo, Prof. Uche Azikiwe, Abike Dabiri (Member, House of Representatives), Nkiru Olumide-Ojo, Jimi Agbaje, Hafsat Abiola-Costello and others. Guests at the event included Ndidi Nwuneli, Toni Kan, Efere Ozako, Banke Meshida, Funke Bucknor-Obruthe, Ohimai Atafo, Matse Uwatse, Inyanya, Tosyn Bucknor, Ikhane Akhigbe, Kemi Lala Akindoju, Warebi Martha, Gbenga Sesan, Abiola Aloba, Femi Brainard, Andre Blaze, Carol King, Dimeji Alara, Mosunmola Umoru, Adaora Oleh, Uche Odoh, Debola Lewis, and others. Announced media partners for the event this year include Silverbird, Channels TV, Soundcity, Nigezie, TEN, Excite on TV, Inspiration FM, City FM, NEXT, BusinessDay, Made, Mode, Encomium, Naijatimes, Acada, BellaNaija.com, Notjustok.com, Ynaija.com, Gistmaster.com and Olamildentertainments.com. The official media partners are Cool FM nationwide, Wazobia FM nationwide and Y!